When reading the writings and histories of the early American settlers, a common theme one comes across time and time again is the Providence of God. Faced with insurmountable obstacles in trying to settle in a new land, when these settlers felt they had been especially blessed by God, they gave thanks as a community, knowing that all good things come from Above. The Providence of God was displayed in diverse ways, but for the Pilgrims who settled in Plymouth, Massachusetts in 1620, it came in the form of a Native American person - his name was Squanto. Most Americans are familiar with certain aspects of Squanto's life, but what caused William Bradford, the Governor of the Plymouth Colony, to call him “a special instrument sent of God” for the good of the colonists? Little is known of Squanto's early life. Historians date his birth sometime between 1585 and 1592. Tisquantum was his real name and he was from the the Patuxet tribe of the Wampanoag Confederacy. In 1614, Tisquantum was kidnapped by Englishman Thomas Hunt, one of John Smith's lieutenants. Hunt was planning to sell fish, corn, and captured natives in Malaga, Spain. There, Hunt attempted to sell Tisquantum and a number of other Native Americans into slavery in Spain for £20 a piece. ...it happened there had beene one Hunt ... [who] seized upon the poore innocent creatures, that in confidence of his honestie had put themselves into his hands. And stowing them under Hatches, to the number of twentie foure, carried them into the Sraits, where he sought to sell them for slaves, and sold as many as he could get money for. But the Friers of those parts took the rest from them, and kept them to be instructed in the Christian Faith; and so disappointed this new and Devillish project. As Georges says, Hunt captured 24 Native Americans and locked them “under Hatches.” Imagine the horror that these young men felt. They were locked below deck in deplorable conditions for days, while the ship sailed across the harsh Atlantic Ocean. They did not know where they were being taken or what would happen to them when they arrived. Hunt brought Squanto and his fellow prisoners to Spain where he intended to sell them as slaves in the Malaga Slave Market. Providentially for Squanto, a group of Spanish monks intervened and stopped the sale. These monks greeted this bound young Indian with the words, “Estas libre,” meaning “You are free.” So Squanto, after facing tremendous fear and panic for days at the hands of a tyrant, was introduced to Christianity with a spirit of love. They took Squanto into their care and taught him the Christian faith. Though little is known of Squanto’s time in Spain, he was able to survive life in a country where people spoke a foreign language and lead a lifestyle that bore no resemblance to the way he had lived in his homeland. One biographer said he began to love Jesus at this time. Now a free man, Squanto ventured for a way to return home. After Squanto went back to England he began searching to find a way to go back home to America. He managed to get to London, where he lived with, and worked for a few years with John Slany, a shipbuilder. After a failed attempt to return in 1618, at last in 1619 Squanto returned to his homeland aboard John Smith’s ship, having joined an exploratory expedition along the New England coast, led by Captain Thomas Dermer. He soon discovered to his horror that the Patuxet, as well as a majority of coastal New England tribes (mostly Wampanoag and Massachusett), had been killed off the year before by an epidemic plague, possibly smallpox; it has recently been postulated as having been leptospirosis. 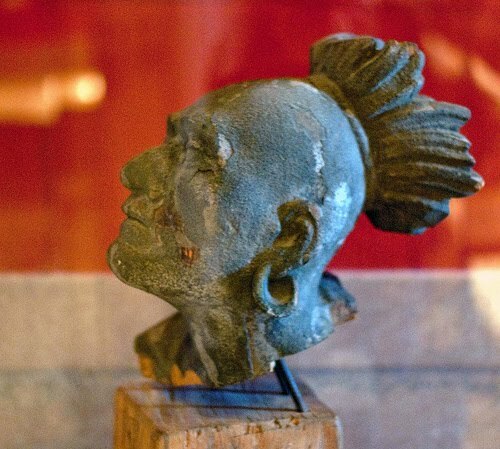 Native Americans had no natural immunity to European infectious diseases. Having discovered that his tribe was extinct and villages for miles inland were completely empty, Squanto eventually found a few survivors from neighboring villages, who brought him to Massasoit, chief of the Wampanoag. Massasoit told him of the grisly details of a spreading plague which had killed 90% of the native people of the region. When the Mayflower arrived on the shores of Massachusetts in 1620, with its 102 passengers and about 30 crew members, it was welcomed by a harsh winter climate. Due to exposure, disease and shortages of food, only 53 Pilgrims survived their first New England winter. Fortunately, they happened to settle on land that the Patuxet tribe once occupied, whose last survivor just happened to know fluent English. Massasoit, perhaps because of Squanto’s close association with Europeans, placed him and another native from Maine named Samoset under house arrest in the village of Pokanoket (near what is today Bristol, Rhode Island.) At the end of the winter, Massasoit and his people considered sending Samoset and/or Squanto to talk with the Pilgrims, since both of them could speak English. Ultimately, Massasoit decided to send only Samoset to greet the Pilgrims because he did not want to chance losing both of them and he did not want to risk sending Squanto, who was his best translator. Later Massasoit met with Plymouth Governor John Carver. Squanto was the translator. With his assistance, they signed a treaty of peace. Massasoit signed for his people and the Pilgrims signed as emissaries of King James. The peace treaty lasted more than fifty years. After signing the treaty, Massasoit was so pleased with the work of Samoset and Squanto that he granted them their freedom. Samoset returned to his homeland in Maine. Squanto, who probably knew more English than any other native person in North America at that time, decided to stay with the Pilgrims as the colony’s chief interpreter and agent in their interaction with all native people. That spring and summer Squanto proved himself invaluable. He led them to brooks brimming with herring beginning their spring migration upstream. He showed the Pilgrims how to fish with traps. He taught them where to stalk game in the forest. The children learned what berries they could pick for their families. Twenty acres of corn grew tall after Squanto showed the Pilgrims how to plant fish (as natural fertilizer) with the native corn seeds from a local tribe. Historians have conjectured that had not Squanto been at that right place at the right time, the early Plymouth settlement would simply have not been. The people would have starved to death and the America as we know it today would have been drastically different. On his way back from a meeting to repair damaged relations between the Wampanoag and Pilgrims, Squanto became sick with a fever. He began bleeding from the nose. Some historians have speculated that he was poisoned by the Wampanoag because they believed he had been disloyal to the chief. Squanto died a few days later in November of 1622 in Chatham, Massachusetts. He was buried in an unmarked grave. Here [Manamoick Bay] Squanto fell ill of Indian fever, bleeding much at the nose, which the Indians take as a symptom of death, and within a few days he died. He begged the Governor to pray for him, that he might go to the Englishman's God in heaven, and bequeathed several of his things to his English friends, as remembrances. His death was a great loss. Squanto is the ultimate survivor. He survived kidnapping, harsh treatment, and an attempt to sell him as a slave in Spain. In the world as existed in the 17th century, living in foreign cultures, without being trained to speak either Spanish or English, he was able to find his way back to England and back to North America in the Cupids Cove Colony. He made his way home to Patuxet only to find that everyone he knew had died of a plague. He was able to assimilate all that he had learned and became a special instrument sent to the Pilgrims of God for their good beyond their expectation.